Another excellent weekend of results for Galway Clinic sponsored community based club Maree/Oranmore fc. Well done to our adult players who organised a very successful General Knowledge Table Quiz in Keanes Oranmore on Friday night with nearly 30 tables attending. Special thanks to Dara Murphy, David Devlin, Hugh O Neill, John Latchford, Colin Thornton and Kenny McStay for organising this successful fundraiser. Thanks to all who donated spot prizes and to Alan Carr for hosting. The winning team was Paul Tucker, Derek Gilligan, Stuart McCamley and Ciaran Connaughton. Players, Parents and Coaches are reminded to return their Last Man Standing Cards before this weekend, 1000 euro awaits for just a tenner. In Connacht Junior Cup action the adult Premier side had an excellent 3-0 away win against Mayo Club Ballyglass on Sunday last to reach the last 16 of the competition. Goals from Malachy Black, David Devlin and Neil Greaney secured a fine win with Black in particular outstanding. The u14 boys reached the last 16 of the sfai cup with an emphatic 6-1 win against Co Kilkenny club East End Utd from Bennetsbridge. The goals arrived from Ryan Mill, Aaron Doyle, Colm Whelan, Ben Costelloe, Conor Daly and Ryan O Donnell. A fine result which will please Noel Carroll, Barry Goodwin and Kevin Costelloe as they prepare to face Galway Hibs in local Cup action this Saturday. The U13 boys side eased past Kiltullagh Pioneers in the Premier and Championship Cup in Oranmore last Sunday morning. Among the goalscorers were Liam Burke (2), Colm Whelan (2), Mikie Grealy, Harry Gilbert, Eanna Costello, Daniel Keady and Dara Cleary. 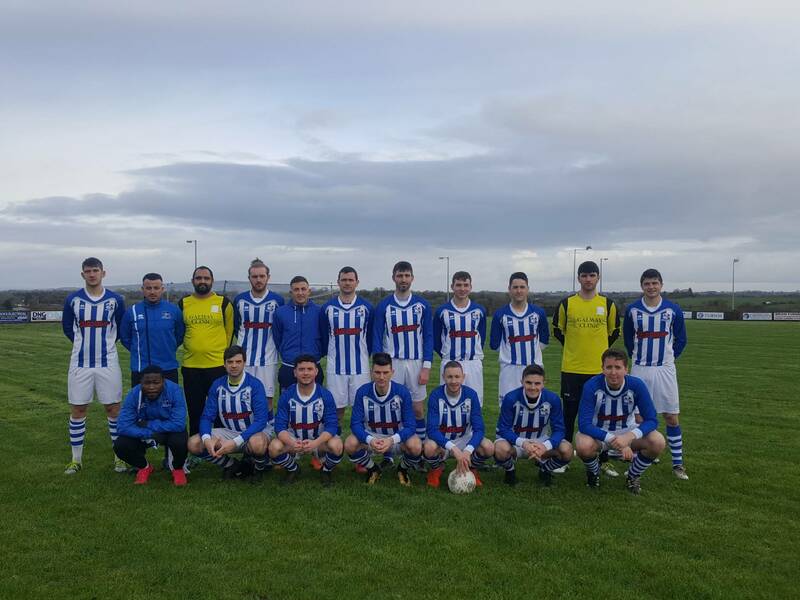 In League action the u17/u18 Premier side eased past a determined Renmore afc side but a comfortable win saw them move to second position on Sunday last in Oranmore. The goals came courtesy of Kody McCann, Alan Greene, Dara O Connor and three from Princewell Diala. Ronan Hanniffy and Danny Travis played especially well in a fine display. The second Youth team who play in Division 2 went down 3-0 to a strong Colemanstown Utd side who lead that table. The lads tried hard and there were individual strong performances from Jack Burke, Shane Mc Dermott and Mark Mullins with Mark Shivnan coming close on several occasions. The u16 girls moved into second place in the League with a very fine 5-0 victory against visitors Athenry fc on Sunday last. The goals were delivered by Anna Cotter and four from Aisling Quinn. In U12 Div 2 League action Maree/Oranmore fc moved to the top of the table despite being held to a 1-1 draw away to Tuam Celtic. Oisin Stack netted. To enable our players,parents and coaches to attend the All Ireland Intermediate Hurling final in Croke Park there will be no club games on Sunday week Feb 10th.